Odontoma is a specific type of tumor that is benign and located in your mouth. It is made of all or some of the tissues that make your teeth. However, these tissues may or may not be arranged in the form of a tooth. It may not be visible to the naked eye. It is a mass of enamel, dentin, pulp and cementum that usually grows at the same rate as teeth. However, this mass is disorganized and any one of the components may become the dominant part. There are many symptoms of Odontoma but they are often overlooked or misdiagnosed. One that is serious is difficulty with swallowing. (dysphagia). If a tooth is delayed when it ought to be erupting, that is another sign that something is not right. If you have a lump in your gum that could be a symptom of odontoma. 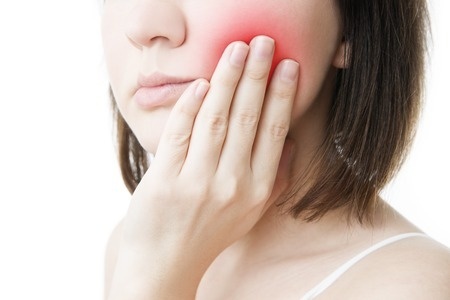 Some may be confused initially with an impacted wisdom tooth. The presence of an a tumor of dental origin requires further examination to determine what type of tumor it is before further action is taken. 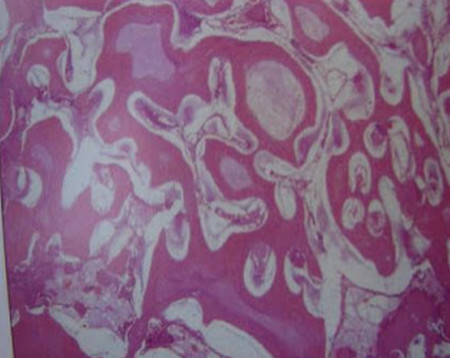 In addition, a histological diagnosis of the tissues that were extracted provides valuable information to the dentist. No one really knows why an odontoma forms. The most likely reasons are trauma and/or infection at the site. Some dentists and researchers believe they are hereditary or they develop because of genetic mutations. One example of an inherited syndrome is known as Gardener Syndrome. It is responsible for a wide range of tumors in the body, including occasional odontoma. 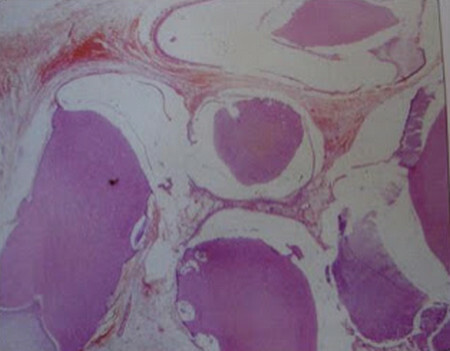 When examined at the cellular level, all of the dental tissues are found, but in an abnormal combination. 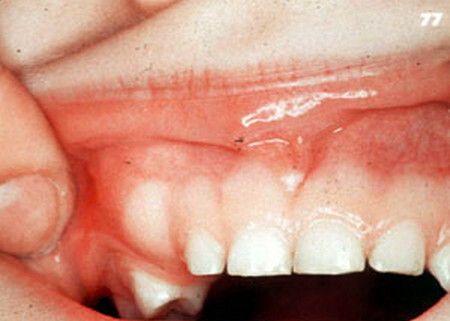 Pulp, dentin, enamel and cementum may sometimes resemble a tooth like structure in a compound odontoma. These denticles are found in a surrounding supporting layer of fibrous cells. Since it is decalcified, the enamel looks like spaces around the tiny tooth structures. Looking closer, you can see the calicified material either as a solid mass or as multiple, small tooth-like bodies visible by x-rays. 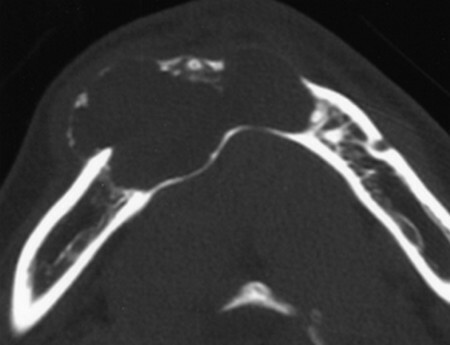 Because it is easily separated from its bony location it can be distinguished from other possible tumors. 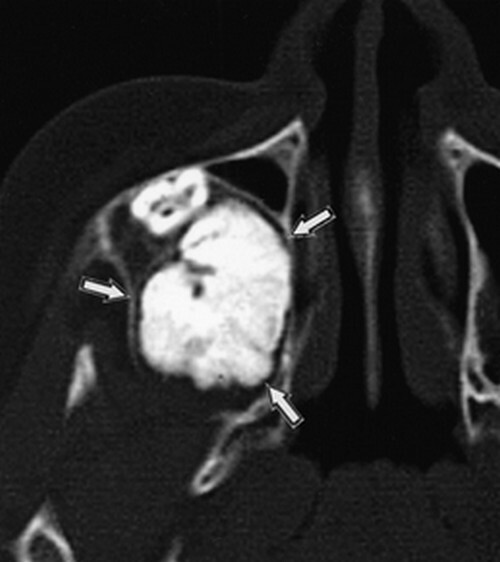 CT findings refers to the images found by x-rays enhanced by computer tomography(a layered sectional view). These advanced technological images help the dentist see what is inside the tumor before engaging in surgery to remove it. They are each unique in formation and each arrangement of dental tissue can determine what kind of structure it has. 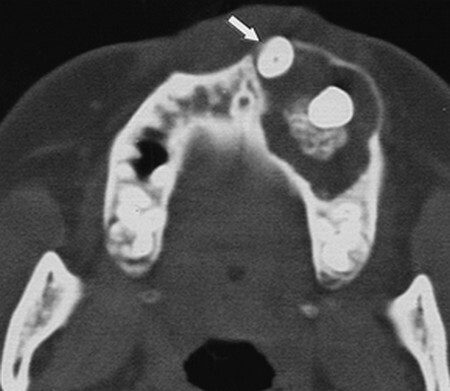 Sometimes a complex odontoma can extend into the nasal cavity and require special attention. It is important to perform a complete examination beyond a simple x-ray to obtain this additional information. Sometimes magnetic imaging is recommended (MRI) to gain a thorough analysis of a complex mass. Odontoma is caused by what? How long it will take after Odontoma removal?